​The Vegas Golden Knights had themselves a fantastic inaugural season, there's no denying that. However, is it worth to break the bank on the future in order to obtain Erik Karlsson and possibly Bobby Ryan? 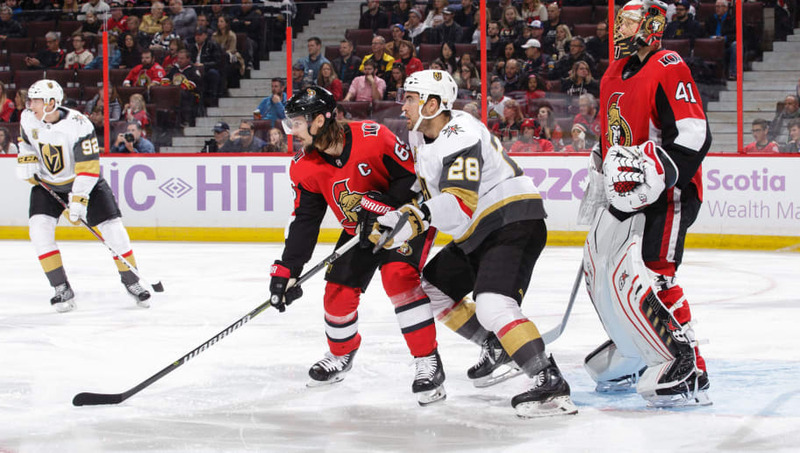 Even if Bobby Ryan is included in the deal, ​the massive package sent back to the Senators could be too much for the Knights to warrant a trade. Karlsson infamously tore his achilles in 2012, and has suffered through reoccurring ankle injuries since then yet still manages to put up 60-80 point seasons every year. His raw talent and ability to change a game is unwarranted, just look at the Senators run to the Eastern Conference Finals in 2017. However, teams should still tread lightly with Karlsson, as any contract extension would carry into his late 30s paying him around $11 million a year. The Knights should focus more on resigning William Karlsson, Colin Miller, and Shea Theodore, instead of trading for an elite defenseman and signing him to a massive extension. The Vegas Golden Knights should stay away from an extension of that caliber. The Knights are in a position to win, with Karlsson or not. They made a fantastic signing with Paul Stastny, and have plenty of talent to continue to succeed. There's no need to rush into a trade for Karlsson and Ryan and put them in cap frenzy for years to come. Let the ​Lightning, Islanders, or Stars overpay for Karlsson, while the Knights can come back in 2018-19 with the same core that brought them to the Stanley Cup Final.